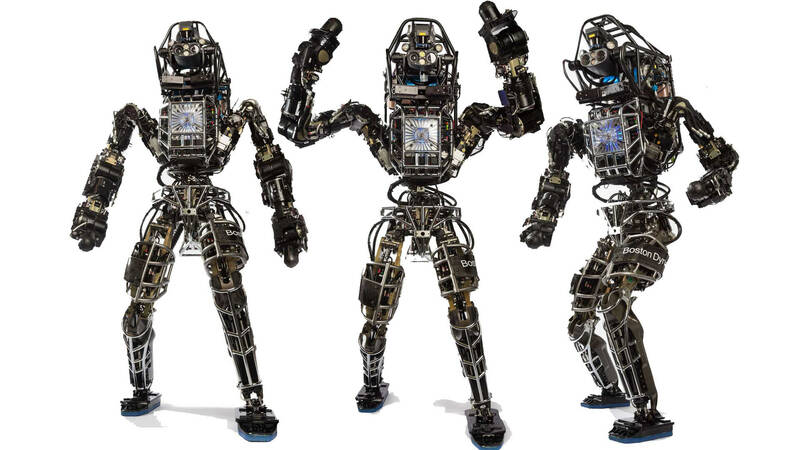 Atlas Unplugged The Atlas robot was developed by Google-owned Boston Dynamics with the US Defence Advanced Research Projects Agency to negotiate through rough and outdoor terrain in a bipedal manner, while being able to climb using hands and feet as a human would. It can operate on battery power and be controlled wirelessly, the basic function of the Atlas Unplugged is to replace soldiers in the battlefield. Some argue that robots can never replace human soldiers. Let the techies argue on that. But for now, the Atlas Unplugged is in the process of transforming itelf into a war hero. Go Atlas, go unplugged. ICUB Think of this robot as a baby. It studies the environment, learns from it and enacts the people living in it. The ICUB is a baby who learns from its environment in a very quick way. And what does it do next? It helps you. From household chores to helping your child in homework, this cute little robot will help you do it all. Cute and helpful! Now that’s a robotic combination. Romeo Care and personal assistance with an emotional touch. Welcome, the Romeo! Romeo can walk, see the three-dimensional environment, hear and speak. Just like its name, this robot will love you. It will take care of you. It will do anything for you and the best part? It does not expect anything in return! Wow. A relationship tip from a robot. Not so complicated after all. 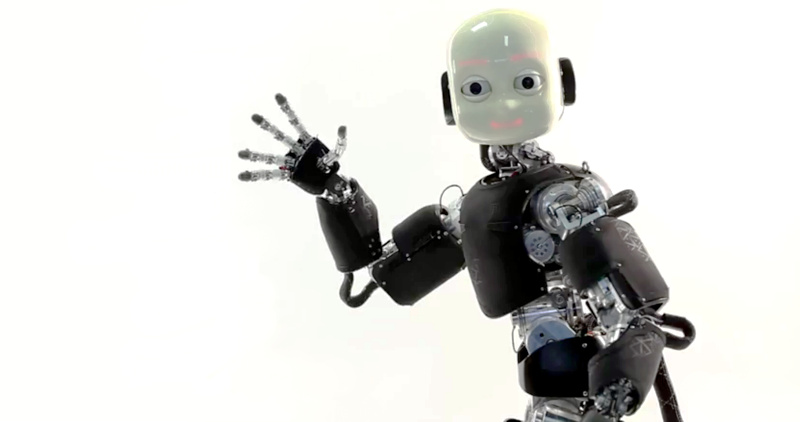 NAO NAO is a 58-cm tall humanoid robot and was created to be a friendly companion around the house. 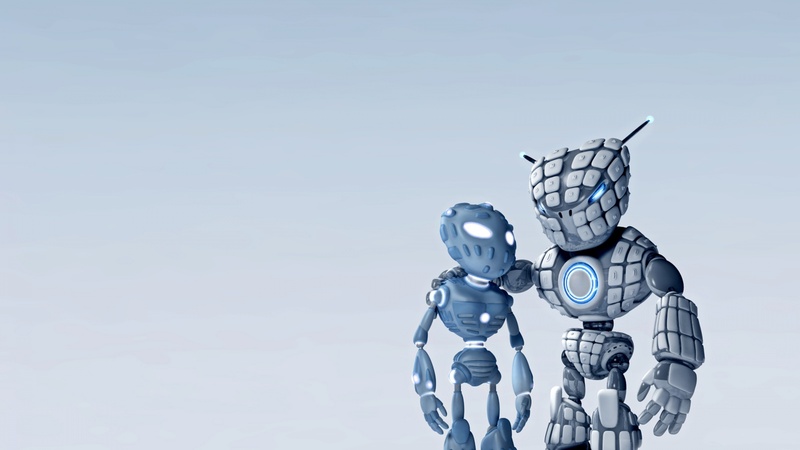 Several versions of the robot have been released since 2008. The most known NAO is the Academics Edition which was developed for universities and laboratories for research and education purposes. It was released to institutions in 2008, and was made publicly available by 2011. 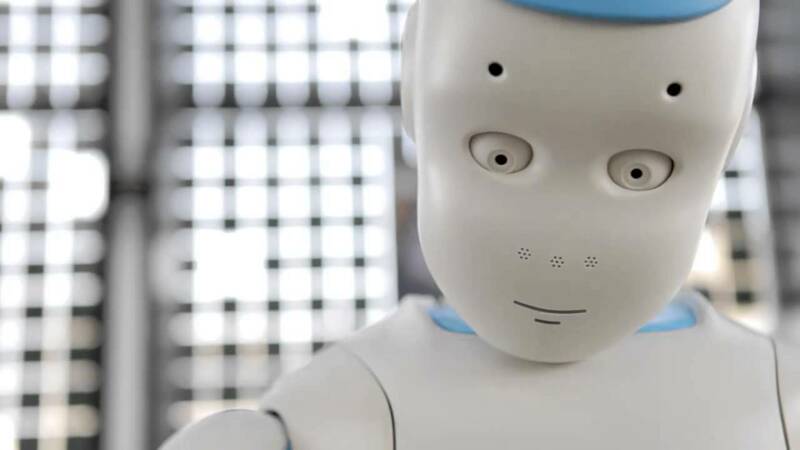 NAO robots have been used for research and education purposes in numerous academic institutions worldwide. Ha! On your face teachers. Robotic Pole Dancers: Lexy and Tees Just when you thought robots couldn’t help us enough, think again. It can pole dance for us too! German software developer Tobit put together two pole dancing robots, with a fellow robot DJ with a megaphone. The ladybots as their famously called move and twist according to the music. Excuse me pole dancing robots, can you give us a lap-dance please? Jibo The world’s family robot, Jibo. 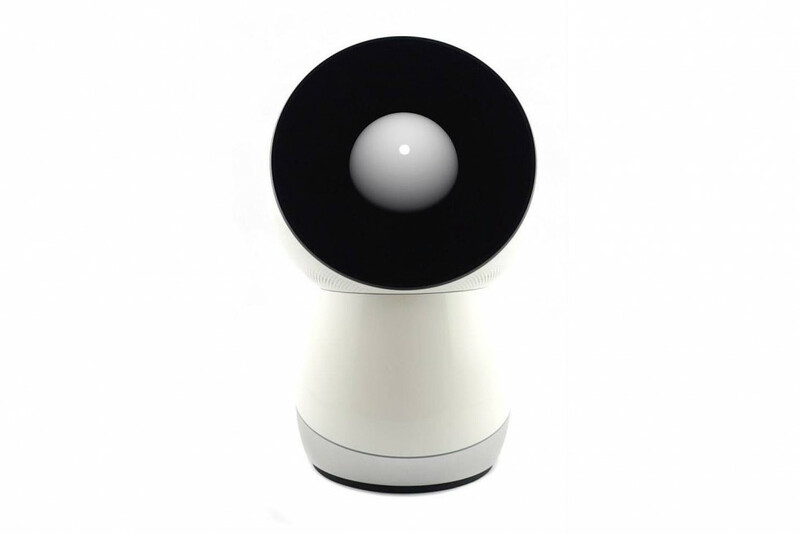 Sleekly designed with a curvy, clean-looking white enclosure and a dark round face, this robot looks downright adorable when doing what it does best: taking family pictures, reading stories to our kids, ordering our pizza, and just hanging out and being polite. Phew, that’s a lot for a robot. Probably we humans can learn a thing or two from it. Actroid-SIT Actroid-SIT can function autonomously, talking and gesturing while interacting with people. In fact, researchers have recently demonstrated how improvements to Actroid’s behaviour can make it look smarter and more expressive than your average android. She knows sign language and different languages. A companion who you can share your secrets with, that too in sign language! The Housekeeping Robot The Housekeeping Robot can scrubs floors, mop and vacuum. There’s even a gutter cleaning model. While the cheapest costs around £199, the priciest is closer to £700. We have the perfect room cleaner for hotels and this robot wouldn’t expect any tip. Housekeeping anyone? 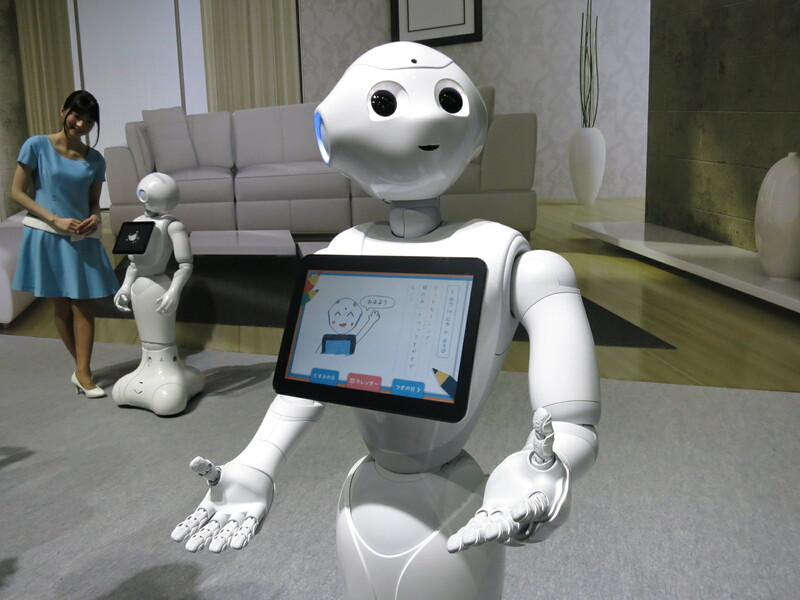 RoboThesapian RoboThespian is a life sized humanoid robot designed for human interaction in a public environment. It is fully interactive, multilingual, and user-friendly, making it a perfect device with which to communicate and entertain. It comes with standard content, like greetings and impressions, to which you can add your own recorded sequences or bespoke content. With a web based interface files controlling movement, sound and video can be simply uploaded. Oh these robots! We love them already. How about we give you something more to love? Love songs? Because love’s in the air and these love anthems will make you sing love!